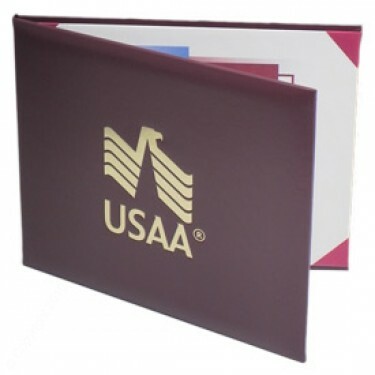 Deluxe Saver Certificate Covers - Flush Cut Moiré Liner-6 × 8"
Deluxe Saver Certificate Covers - Flush Cut Moiré Liner-8-1/2 × 11"
Deluxe Saver Certificate Covers - White 15 pt. 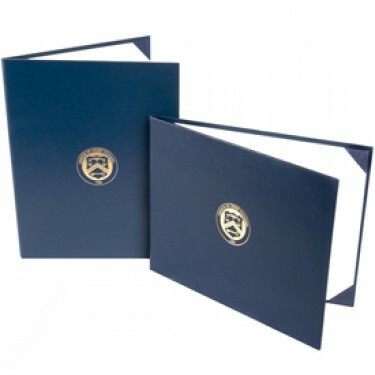 Board Liner-8 1/2 × 10 1/2"
Deluxe Saver Certificate Covers - Flush Cut Moiré Liner-8 x 10"
Deluxe Saver Certificate Covers - Flush Cut Moiré Liner-5 1/2 × 7 1/2"
Deluxe Saver Certificate Covers - White 15 pt. Board Liner 8-1/2 x 11"
Deluxe Saver Certificate Covers - White 15 pt. Board Liner-5 x 7"
Deluxe Saver Certificate Covers - White 15 pt. 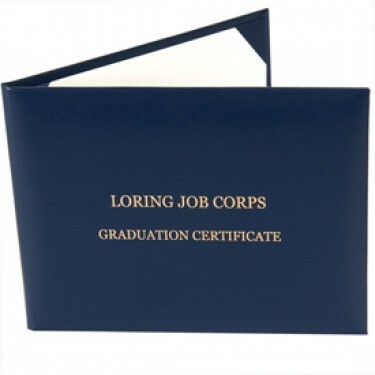 Board Liner - 8 1/2 × 10 1/2"
Basically this is the same quality deluxe certificate cover as on the previous page except for the linings. The turned edge moiré lining is replaced with a white 15 pt. board or white flush cut moiré liner, everything else is the same. The front inside cover will be lined with the same cover material. 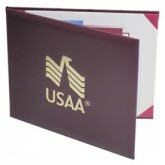 Ribboned panels are available on both sides. If you do not mention the ribbon color wanted we will automatically match the ribbon color to the cover color material. You must specify style of cover needed (i.e. book, landscape, or tent style). See diagrams on previous page. Tent format is used automatically at production. Deluxe Saver Certificate Covers - White 15 pt. 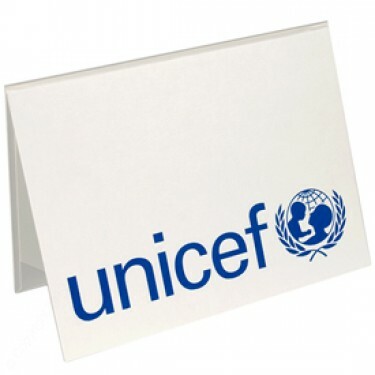 Board Liner-6 1/2 × 8 1/2"
Deluxe Saver Certificate Covers - Flush Cut Moiré Liner-8 1/2 × 10 1/2"
Deluxe Saver Certificate Covers - Flush Cut Moiré Liner-9 × 11 1/2"
Deluxe Saver Certificate Covers - White 15 pt. 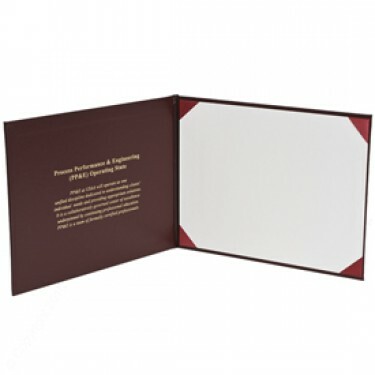 Board Liner 8 × 10"
Deluxe Saver Certificate Covers - White 15 pt. 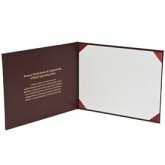 Board Liner-5 × 7"
Deluxe Saver Certificate Covers Flush Cut Moiré Liner 6 × 8"
Deluxe Saver Certificate Covers - White 15 pt. Board Liner-6 × 8"